The Massachusetts insurance adjusters at Massachusetts auto accident insurance companies want to settle your Massachusetts auto accident case for as little money as possible and at a fraction of its true worth. Without expert Massachusetts car accident legal representation from our Boston, MA car accident injury lawyers, you are at a disadvantage for negotiating the highest settlement possible. Our Massachusetts auto accident personal injury attorneys possess a sophisticated knowledge of Massachusetts law governing Massachusetts auto accidents, and have years of experience dealing with these types of cases. Massachusetts insurance adjusters know that our Boston car accident lawyers are well aware of what constitutes a just settlement, and the threat of a Massachusetts car accident lawsuit gives our Massachusetts auto accident injury lawyers leverage in negotiating maximum compensation for you. Make sure that you do not speak with any representative of a Massachusetts insurance company with respect to your Massachusetts motor vehicle accident case until you have spoken with one of our Massachusetts car accident lawyers at our Boston law firm. 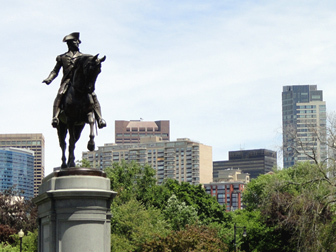 Our Boston, Massachusetts Auto Accident Lawyer Specialists Don’t Get Paid Until You Get Paid. Our Boston, Massachusetts law office, which specializes in Massachusetts motor vehicle claims, works on a contingency fee basis. We only receive a fee when you receive compensation for your Massachusetts auto accident injuries. Therefore, we do not get paid unless you recover money. Call the expert and highly skilled car accident attorney specialists at our Boston law office at 617-787-3700 or email us at info@gilhoylaw.com today for a free consultation. Our Massachusetts Auto Accident Injury Attorneys Are Dedicated to Providing Superior Client Service and Exceptional Results. The Boston auto accident lawyers at our Boston, MA personal injury law firm will work hard for you and strive to obtain the just results you deserve. 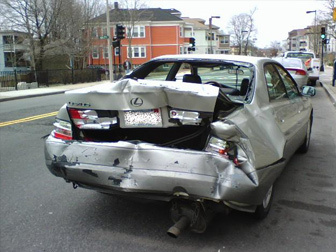 Our Massachusetts auto accident lawyers are dedicated to serving all of your legal needs. 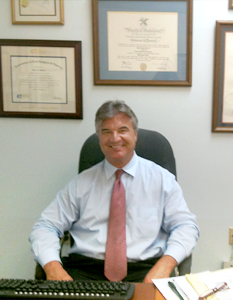 Our Boston injury lawyers will guide you through your case with compassion. The Massachusetts car accident attorneys at the Law Offices of Gilbert R. Hoy, Jr. and Affiliates have a track record of proven success in handling Massachusetts motor vehicle accident cases. Let us put our extensive experience and skills to work for you! Call Our Boston, Massachusetts Car Accident Lawyer Specialists 24/7 at 617-787-3700. We Are Just a Phone Call Away! Our Boston, MA law firm has more than two decades of experience in handling complex Massachusetts auto accident claims. 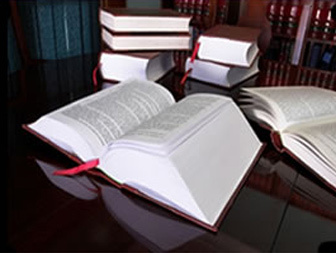 We are able to provide outstanding legal service as a result of our extensive experience, knowledge and expertise in handling these types of claims. Many of the attorneys that are available to our Massachusetts motor vehicle accident clients through referral agreements have been recognized as some of Boston’s best attorneys. The Boston Globe has selected a number of our attorneys as Boston’s Best Lawyers, and Boston Magazine has recognized some of our lawyers as Massachusetts Super Lawyers and New England Super Lawyers. Aside from providing outstanding legal service, our Massachusetts auto accident attorney specialists make it a priority to provide superior client service. We never act on a client’s behalf without first obtaining the client’s full and informed consent. Our Massachusetts auto accident attorneys promptly return all client phone calls and our clients are copied on all correspondence regarding their cases. When a Massachusetts resident has been the victim of a Massachusetts auto accident, the chances are that he or she is suffering from both emotional and physical injuries. Some injuries that a Massachusetts auto accident victim may suffer from can be temporary, such as soft-tissue neck or back injuries. Some injuries, however, are life-threatening, and have the potential to debilitate a Massachusetts car accident victim for his or her lifetime. In the worst Massachusetts car accidents, there may be a Massachusetts wrongful death. Our expert and highly skilled Massachusetts auto accident attorneys believe that an individual who has been injured in a Massachusetts car accident should solely focus his or her energies on recovering from the Massachusetts motor vehicle accident. We further believe that it is our professional duty and obligation to recover all evidence on the client’s behalf, including gathering all witness statements and medical records, to enable us to strongly and effectively build our client’s case. Our Massachusetts auto accident attorneys will fight tirelessly for each and every one of our clients and will advocate on our client’s behalf to recover the full and fair amount of damages to which our Massachusetts auto accident client is entitled. Massachusetts auto accident damages typically include lost wages and medical expense reimbursement, in addition to monetary compensation for pain and suffering and loss of consortium. If there has been a Massachusetts wrongful death, the family of the Massachusetts wrongful death victim is entitled to receive compensation on the victim’s behalf. In every case, it must be shown that the Massachusetts auto accident injury or death resulted as a direct consequence of the negligence of the defendant. Negligence is generally defined as a failure to use reasonable care under the particular facts and circumstances that results in injury or death. In a Massachusetts wrongful death action, the Massachusetts victim’s family is precluded from recovery if the victim is found to have been more than 50% at fault for his or her death. In cases where the Massachusetts wrongful death victim is found to be less than 50% at fault, his or her damage award is appropriately reduced to account for the victim’s contributory negligence. Our Massachusetts auto accident attorneys consult with a wide variety of medical experts and other professionals to ensure that your or your loved one’s injuries are accurately assessed. An accurate assessment of the injuries of a Massachusetts auto accident victim are critical to ensure that he or she receives full and fair compensation. Massachusetts auto accident victims are typically entitled to different types of compensation, including lost wages and medical expense reimbursement, in addition to monetary compensation for pain and suffering and loss of consortium. If you or a loved one has been injured or killed in a Massachusetts auto accident, please do not hesitate to contact our highly skilled Massachusetts auto accident attorney specialists today at 617-787-3700 or email us at info@gilhoylaw.com for a free, initial consultation. Your needs are our top priority! Our expert and highly skilled Massachusetts car accident lawyers represent Massachusetts auto accident personal injury victims from throughout the Commonwealth. There is a Massachusetts statute of limitations period for bringing a claim and filing a lawsuit regarding motor vehicle accident cases in the Commonwealth of Massachusetts. This is a period of time in which you are limited to filing or settling your claim or you will forever lose your rights to recover any money damages. 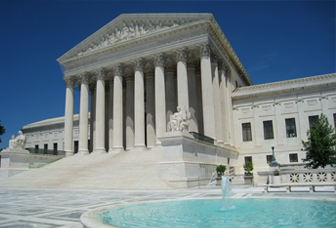 You cannot wait too long or you will not be able to recover damages for your Massachusetts auto accident case. Call us today. Our Boston auto accident lawyers are available 24/7 for you, and can meet you at your home, the hospital or any other place that is convenient for you. Call us at (617) 787-3700 or email us at info@gilhoylaw.com. Your needs are our top priority! 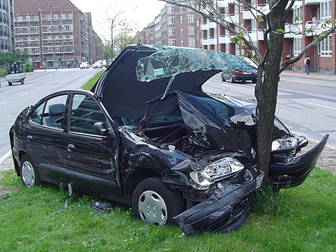 Our Boston, Massachusetts Car Accident Lawyer Advocates Can Help You With Your Massachusetts Car Crash Case. Call Today at 617-787-3700 or Email Us at info@gilhoylaw.com. Your Needs Are Our Top Priority!